QR codes a marketing blessing or a curse? If you make any of these five common mistakes, your QR campaign could be the latter. They are: Linking to a desktop site; failing to track; printing code too small; don’t put it in the wrong place; and failing to have a back-up plan. QR codes are typically scanned using a smartphone or tablet, and if you’re linking to the desktop version of your site rather than a mobile site, you could be losing valuable customers. Make it easy on your smartphone users by setting your mobile site as your QR code landing page,and if you don’t’ have a mobile dedicated site, there’s no time like the present! When you’re choosing your URL, also make sure the address is relatively short. The longer the URL, the more ‘dots’ will be in the QR code, making it more opaque and more likely to blend in. QR codes are more than a convenient way to get potential customers to your website. The biggest draw in using a QR code for an advertising and marketing campaign is the ability to track printed material and determine a real ROI. Choose a QR code provider that offers built-in analytics or create a campaign in Google Analytics to help you determine who is scanning your code. It’s a relief to some marketing and advertising professionals that they can now use a small icon instead of a long, difficult-to-type URL. However, printing the QR code too small can cause problems with QR readers and difficulty scanning. Additionally, your QR code should stand out from the rest of your design while still reflecting your brand (many QR code companies allow you to personalise your code with colors and designs that fit your business). It is even possible to incorporate logos into QR codes. QR codes have some amazing benefits, but if you create a QR code advertising plan based around codes that are inaccessible, you might do more harm than good. Think of the places your customers will have the most free time to pick up an ad or flyer and scan your QR code – think restaurants, waiting rooms and grocery stores, or other places customers tend to ‘linger’. Although QR codes are becoming increasingly common, many people still aren’t using QR readers, or using them to their full potential. 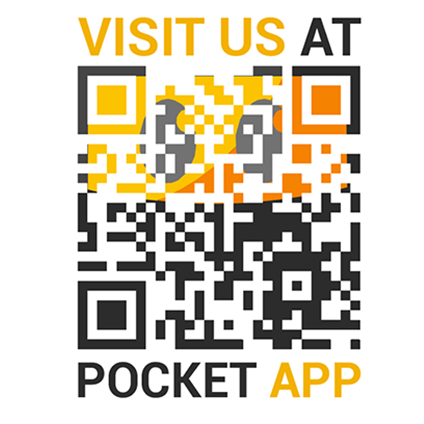 Your back-up plan should consist of two things:- education and an alternative to your QR code. First, educate your customers on QR readers. Mention your favourite QR reader by name and indicate where your customer can find it. Tell them how to scan and what to expect – a short summary might take up a portion of your ad or flyer, but if you’re relying on the QR scan, it will be worth the space. Secondly, add a shortened URL that’s easy to type into a smartphone browser for the customers who aren’t interested in scanning a QR code.